No team in baseball had a more exciting offseason than the San Diego Padres. After yet another disappointing season in 2014, the team went bananas. With new general manager A.J. Preller on board, they launched salvo after salvo of player acquisitions – which I understand is a confusing metaphor since “salvo” and “acquisition” imply opposite direction. But considering how everything has turned out for San Diego, maybe a confusing metaphor is actually the perfect metaphor. Since San Diego last appeared in the World Series two decades ago, it has been a team that has continuously struggled with its identity. The San Diego Padres have spent the majority of their existence in the National League West division in the shadows of the Los Angeles Dodgers and San Francisco Giants. New GMs with plans and schemes to right the ship have been hired and then soon after fired – with a turnover rate to rival Taylor Swift’s love life. This is the team that fired Bruce Bochy because he lost to the St. Louis Cardinals in the playoffs two years in a row. Let’s stop right there. They were in the playoffs two years in a row – something they had never done before – and they fired this guy who would then go on to manage the Giants to three World Series titles and stake a claim as one of the best managers in the history of the game. They said they wanted to “go younger.” So, they hired Bud Black. Bud Black is three years younger than Bruce Bochy. That’s basically insane. They would’ve made more sense if they fired him because of his moustache. Anyway, after four stinker seasons in a row, ownership fired another GM and brought in A.J. Preller, a feisty front-office mind with a bold plan to turn the San Diego Padres into a winner right now. Not next season. Not the season after that. Now. San Diego’s Petco Park is traditionally one of the hardest places to score runs because of how big the field is, local atmospheric conditions and other science-y stuff. The team was loaded with pitching and Preller made upgrading the team’s offense a priority. Preller made trade after trade. It seemed crazy. Maybe it was crazy. But it seemed like it just might work. This was exactly the kind of thing we common folk dream of doing if we were ever to run a team. This is why fantasy baseball is so popular – building a team with players you think will outperform all the others – sort of a healthy delusion. The players coming in were definitely better hitters, however, as exciting as Preller’s aggressive trading was, they were all weak defensively. And the last two trades were for positions the team already had covered. Game attendance has been up this year by over 4,000 per game, but after all of those crazy moves, including one more mega-deal on the eve of opening day, the team is on pace for exactly as many as wins as last season. They are scoring more runs – almost a full run per game more. And they are allowing more runs – almost a full run per game more. The basic pitching numbers are about the same, but the team’s defense is worse than Sea World’s treatment of killer whales. How the heck could all those moves, and all that money spent, position them up in exactly the same spot? Well, let’s take a look at them and see what we can find together. For the sake of this evaluation, I’m going to use the statistic Wins Above Replacement (WAR); though it’s not a perfect measure of production, it does factor in defense and also covers hitters and pitchers, which will make this a lot easier because they have entirely different accumulating stats. It’s difficult to compare a pitcher’s strikeouts to a hitter’s home runs. That’s what WAR is good for. Good God! This trade with the Atlanta Braves was the first big move the San Diego Padres made this offseason. It was a real head turner. Like a fastball high and tight, it announced their presence with authority. Justin Upton is one of the league’s premier offensive forces and figures to parlay that into a huge free-agent deal after this season. So far this season, Upton has been everything San Diego had hoped for, and he’s given the team 2.1 WAR, which is a bit low because of his negative defense (get used to hearing that phrase here). In the trade, the Braves received Max Fried and Jace Peterson – not to be confused with the Dodgers’ Joc Pederson. 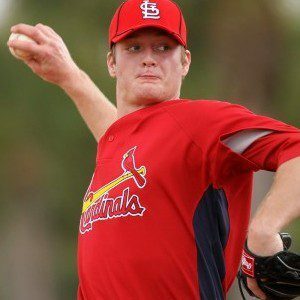 Fried is recovering from surgery but was, until recently, one of the top pitching prospects in baseball. And Peterson has given the Braves 1.6 WAR at second base so far this year. He also plays shortstop, and the Padres just happen to have a huge black hole at that position. Still, overall a good trade for the Padres and pretty much the going rate for top-level hitters. The San Diego Padres acquired Norris in a trade with the Oakland A’s for pitcher Jesse Hahn. This trade has probably actually worked out the best of all. Norris has a 1.8 WAR for the Padres and Hahn has a 1.5 WAR for the Athletics. Both sides are probably pretty happy with that. There are some who have suggested that Norris’ catcher intangibles – like framing, pitch calling and back rubs, I guess – leave something to be desired, and that he’s partially responsible for Andrew Cashner’s disappointing season. But, overall, this was a solid move for both teams. This is where the wheels really start to come off the cart with these player acquisitions. Matt Kemp was thought of as the big bat the San Diego Padres could pair with Upton to terrorize the league. But the terror is coming from inside the house! Kemp has been below average on offense and has continued his work as one of the league’s worst fielders. He has given the Padres -0.8 WAR. Yes, negative. Kemp needed to be traded from the Dodgers, but he should have gone to a team with a designated hitter so his crimes against fielding could be put to an end. In the trade with Los Angeles, San Diego sent catcher Yasmani Grandal and some other assets and while the Dodgers agreed to pay some of Kemp’s contract, San Diego is on the hook for $75 million. With his defensive issues, the Padres are likely to have to join the Dodgers in eating a huge chunk of his contract when Kemp gets shipped off in a kind of bizarre “pay it forward” program to extract any value out of a player that once had so much potential. In a vacuum, this was a pretty solid move for the San Diego Padres. The Padres signed Shields to a team-friendly deal (if a $75 million contract can be called that). However, putting it in context to the rest of their moves and the rest of the baseball world, this deal looks worse and worse. San Diego had to forfeit the 13th pick in the 2015 draft for signing a top free agent. Sure, it’s not as bad as the New York Mets giving up their first-round pick for right to severely overpay the reanimated corpse of Michael Cuddyer, but the San Diego pick had some value. When we look at Shields’ production, we see he’s given 0.9 WAR. That’s decent, and he projects to do better as the season rolls along, but the two of you have that have been paying attention will remember that Jesse Hahn has delivered 1.5 WAR. After acquiring Kemp to play left field and Upton to play right field, the Padres traded with Tampa Bay for right fielder Wil Myers to play … um … center field? Setting aside Myers’ injury, which is almost impossible to predict, he has been very productive offensively. But, and it’s that same old “but,” his defense has been bad. He’s been slightly below average defense in his career, but that was before moving to the tougher center field position. In order to get Myers, the Padres traded away shortstop prospect Trea Turner. The Washington Nationals jumped in and snatched him up as part of a three-team trade. He should be the Nationals’ starting shortstop next season and for many seasons to come. And, as I mentioned the San Diego Padres need a shortstop. This is the one that quadruple surprised everyone. On the night before the start of the season, the Padres and Braves announced a humdinger of a trade that sent closer Craig Kimbrel to San Diego along with some deadweight contracts for Matt Wisler, the Padres top prospect, and center fielder Cameron Maybin. The Padres didn’t need Maybin anymore after all of their trades, so they sent him off to Atlanta where he has been solid on defense and has a 1.4 WAR. Sounds like just the kind of player that could actually make the Padres a better team. The San Diego Padres bullpen was already stacked before the trade. So the Padres were really just looking at making a slight improvement in an area of depth. And actually last year’s closer Joakim Benoit’s ERA is actually about half of Kimbrel’s this season. Oh, right, and they took on an extra $56 million in obligations. Why not? Add it to the pile. So, to sum up, the Padres made a bunch of moves that didn’t actually improve their team one bit and they have weakened the team’s farm system and, thereby, its future just for the benefit of a slight increase in attendance and maybe grabbing a few headlines away from the Giants and Dodgers. Fortunately for all parties involved, Southern California is a pretty easy-going sports environment, because Southern California is a pretty easy-going everything environment. And no area is more easy-going than San Diego. Los Angeles has endured riots, flooding, fires, earthquakes and Paris Hilton. But San Diego has avoided most of these and with the exception of the Great Mimosa Shortage of 2008, the people there live a somewhat charmed life. It’s unclear where the team should go from here. They’ve depleted their farm system and busted their budget with a whirlwind of transactions. Not much seems to be working. They even tried the old “fire the manager who had nothing to do with the dumb player moves” trick and relieved Bud Black of his duties – maybe they wanted to bring in somebody younger. Or maybe someone with a moustache. This is all clearly a failed experiment in overhauling a team, and the only question now is whether the San Diego Padres will show the same cajones they had to make all these trades and make the bold moves to trade away these assets. Should Mets pursue Yasiel Puig? Carlos Carrasco's oh-no so close!